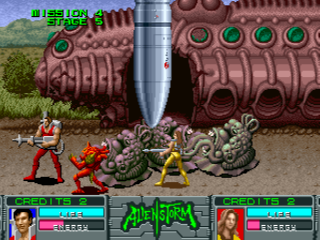 Alien Storm is a futuristic weapons-based brawler from the same team that developed Golden Axe. 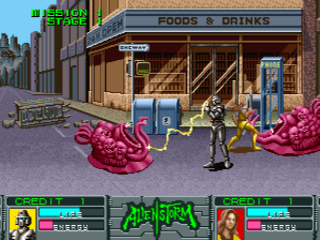 Its rapid, distance-based combat is defined by its large movesets and unique Energy meter. 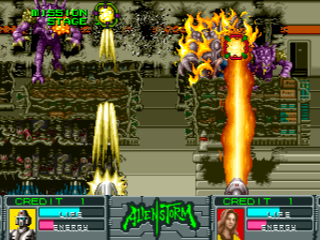 Although it has few bosses, there are a handful of first person shooter and shoot 'em up stages to mix up the action. 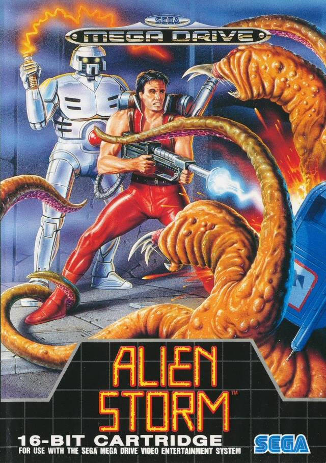 Aliens are invading Earth, and only the Alien Busters, a group of volunteer alien-fighters, can save the world from the Alien Storm. 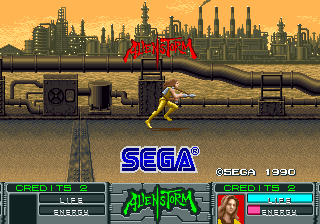 Alien Storm shares many similarities with Golden Axe, also developed by Team Shinobi. Both are weapons-based brawlers with three playable characters (a guy, a girl, and something weird) and screen-filling magic attacks. 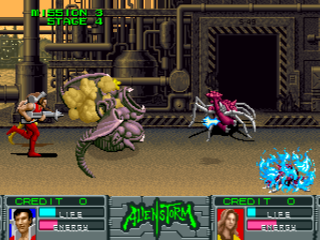 Alien Storm distinguishes itself with its setting, alternate gameplay modes, and energy-based attacks. 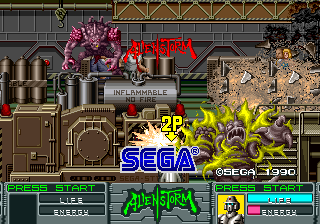 Alien Storm is one of the few games that blatantly advertise other games. 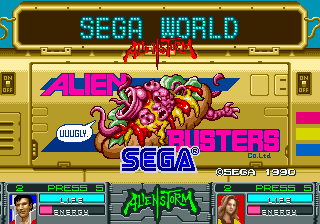 In both the title screen and after the final credits, there are ads for Golden Axe and Altered Beast. 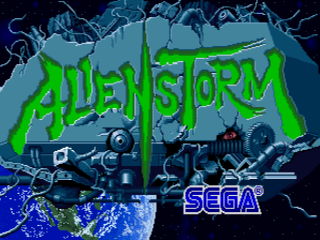 Alien Storm is solid. The core combat is rapid, chock-full of awesome attack animations, and simple yet challenging. 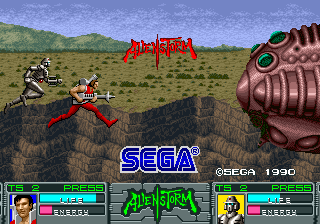 The music's pretty catchy, and although the backgrounds aren't great, the enemy designs are unique and grotesque. Also, the variety stages add a lot. Its biggest flaw is its chronic lack of bosses.